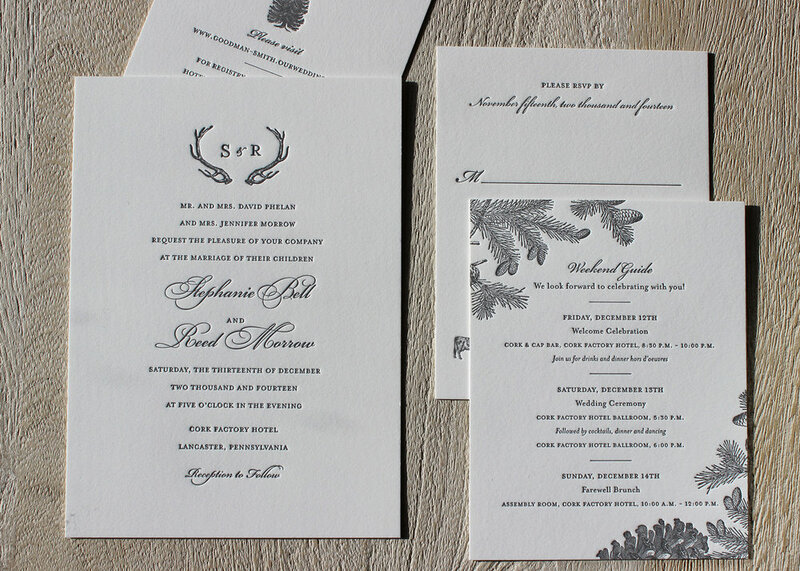 While going through our archives of past weddings, we came across these winter themed invitations. We are still in love with the combination of formal fonts and the vintage illustrations of pinecones and pine trees. The monogram inside the set of antlers has that perfect rustic feeling! We always like printing in charcoal gray ink, as it has a nice softened effect, especially on this natural white paper.